So… little books. Does anyone read books anymore? Have we gone to an all-audio/video world? According to Publishers Weekly, print book sales rose again in 2016, which marked the third straight year of growth. So yes, people are still buying books. And adult nonfiction showed the largest gain from 2015. eBook sales are almost impossible to track on an overall basis—Amazon Kindle is the biggest seller of eBooks and they do NOT release overall sales figures. In fact, the person who finally cracks the ranking algorithm will make a bloody fortune because everyone wants to know just how many books you need to sell to get into Amazon’s top rankings. But we can assume if hard copy book sales are up, eBooks are at least holding their own. Which brings us to my next question. Are nonfiction books getting shorter? A 2013 Consumer Affairs article addresses the effect of “culturally induced ADD” caused by an overwhelm of information hitting us from so many devices and sites – social media updates, constant texts and emails, 24/7 breaking news—all of which come with ads vying for our attention. More and more books are being read via electronic device, whether you have a Kindle, use your phone, or just read from the cloud. For those of us who grew up holding real books (anyone over the age of 15), device reading is a bit different. If it was food, we would talk about mouth-feel. Reading a book would, I guess, involve hand-feel, which is kind of redundant. Suffice it to say, device readers experience the book differently. Think of the way you read a novel. Maybe you’re on the couch or on a lounger by the pool. The book is in your hands. You hear the whisper of each page turning as you move through the book. It’s easy to lose yourself in the book, to submerge your consciousness. The real world goes away and you enter the novelist’s reality. Compare that to holding an electronic device or reading from your computer. It’s a little harder to get “into” the book. Your eyes tire more quickly. You can’t tell if you’re reading a full page of information or half pages. (Does that irritate anyone else? Just me?) There are other interruptions as you read—email chiming in or Facebook notifications. Even those of us with the best attention spans are facing constant distractions. 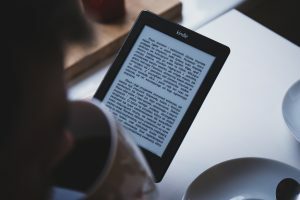 If you are putting out content, whether it’s an eBook, special report, or guide, it’s harder to hold the attention of the e-reader. You need to change your strategy. For device reading, shorter is better. Little books, short books, quick reads—call them what you will, fill a need. They present information in quick, consumable bites that accommodate the constant motion of business life, and really, today’s world. But we are on a changing curve. The little book market is hitting and it’s a direct result of the way people now consume books. The convenience of electronic devices is overcoming the tactile experience of holding a book. While I’ll never be able to lose myself in an electronic novel, I do use my laptop to read nonfiction. And so does your target market. You want to get ahead of this curve. In fact, Amazon/Kindle has already beat the curve by introducing Kindle Short Reads—books that can be read in one sitting. You can browse books by reading time from a 15 minute read (1-11 pages) up to two hours or more (65-100 pages). You can get the entire break out of reading times here: Kindle Short Reads. Just look down the left hand sidebar. Does all this mean people are unwilling to read longer books? But it does mean that they are no longer willing to wade through miles of fluff and filler to get the information they want. It also means you no longer have to “stretch” to write a book. So here’s the point: If people just want to get to the meat of the topic, give them the meat! Here’s a second point: Most of our books that we use to market out businesses don’t need to be epic tomes. While I help people write their signature books, I help just as many people write shorter, lead generating eBooks: little books. It boils down to what you want your book to do for you. In order to do that, your book needs to have a clear purpose and a clear target market. That means you may end up writing more than one “little book” in order to appeal to various segments of your target market. (We’ll talk more about that in a future blog post.) 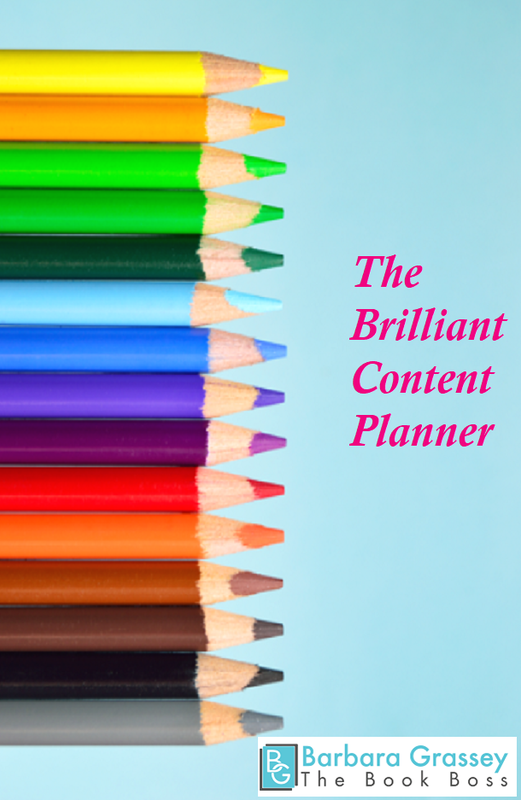 Even a “promotional-style” book needs to have good content and actionable items. Whether your book is long or short, it comes down to providing value to your reader. That’s always the bottom line. If the idea of spending months writing a 40,000+ word book has overwhelmed you, please know that you do NOT have to write that much, especially if you are segmenting your target audience. A little book, of 10,000 – 20,000 words (think approximately 20-25 blog posts) may very well do the job for you. Yes, people are still reading and book sales are still climbing. While the Consumer Affairs article alludes to books going away altogether, the Publishers Weekly numbers tell a different story. Suffice it to say that books aren’t going away anytime soon. But they are changing and those of us who are delivering content to our prospects and clients need to change with time and technology. Our short stories are about 12-14 minute read and really appeal to readers. on the website both Text and Audio. ‘topic’ and present as Digital very soon. People have less time–even for things they enjoy. Adapting to those needs is key.